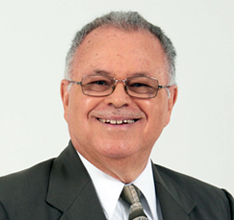 Mr. Frank Harrison has been part of the Victoria Mutual Family since 1963 and has served in different capacities within VMBS until his retirement in 2007. Though no longer formally employed to Victoria Mutual he continues to serve the Group as a Director of VMPS. He has over three decades of experience in housing finance and operations with training from International Executive Development Program, sponsored by US-Aid, in Washington DC and International School, sponsored by the International Union for Housing Finance, Johannesburg, South Africa. He is also trained in Practical Techniques for Corporate Credit Analysis, Euromoney Training and possesses a Housing Finance Administration Diploma from Wharton School, University of Pennsylvania, FELS Center, USA. Presently, Mr. Harrison is also Chairman of the Covenant City Church.